Puppet PSA -- This is the first segment of a series of short 5-10 minute films exploring emergency preparedness in regards to the transport of oil-by-tail, from the perspective of first responders and health workers. Puppets make up a significant portion of the cast for this series, inspired by a series of puppet-psa's from the 1960's, put together by the Department of Civil Defense. The perspective of health workers and first responders includes the potential for increased health risks if any of the proposed oil and coal terminals are approved, which will lead to an increase in fossil fuel shipment by rail, pipeline, and tanker. I was fortunate to interview Laura Skelton, the Executive Director of the Washington State Physicians for Social Responsibility, on this topic. This organization represents a collection of health care workers devoted to preventing the cost to human health these terminals would bring to the Pacific Northwest. 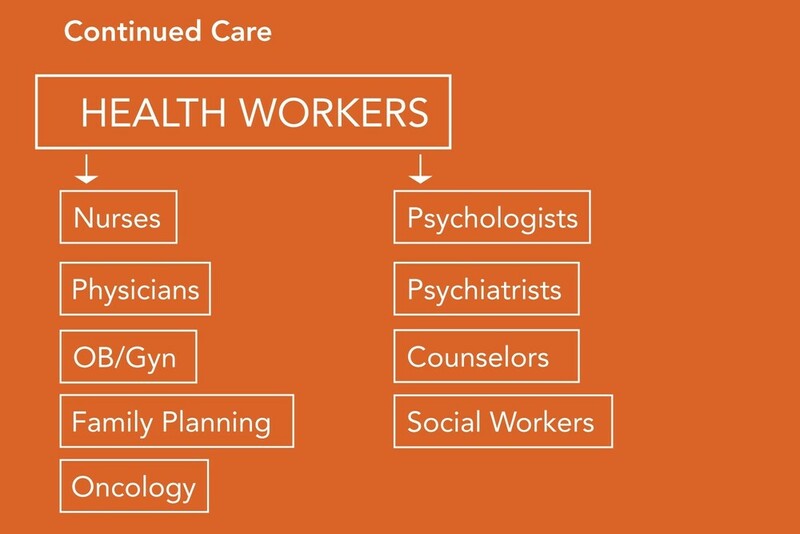 Some of the types of health workers needed for on-going care. 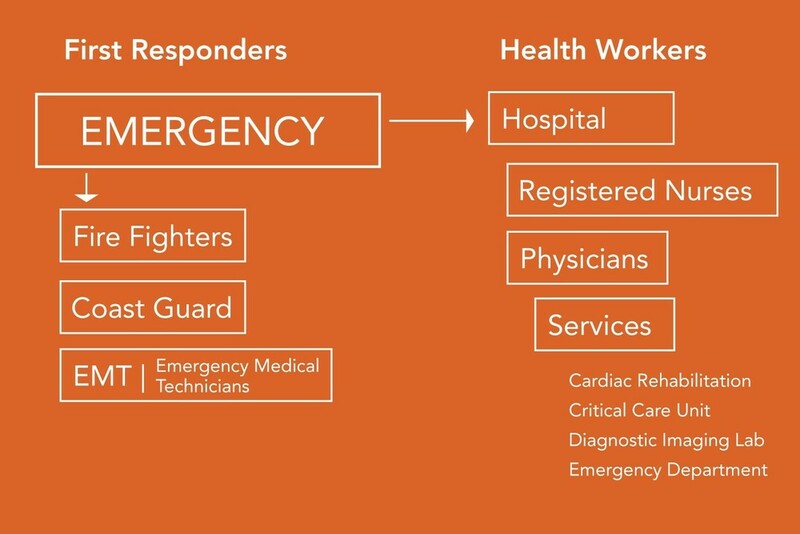 Who Are First Responders and Health Workers? First responders are the first people that deal with the human cost in the event of an emergency. First responders include fire fighters, Emergency Medical Technicians (EMTs), and support crews. In coastal regions they can include the Coast Guard. Regarding the health concerns of fossil fuel extraction, export and shipment, first responders are currently getting most of the media attention. 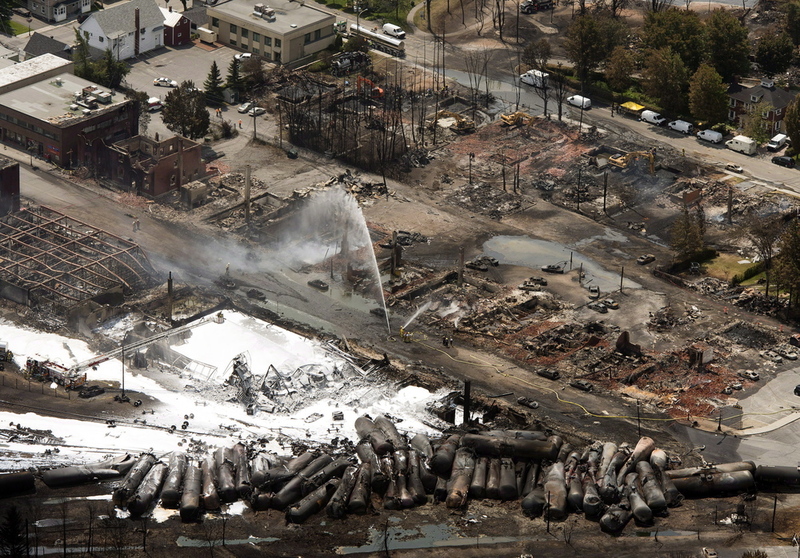 Emergency risks include chemical spills, oil spills, related fire or explosions (See Oil Train Explosions). Health workers deal with the human cost of emergency, at the time of an event, both on-site and in a hospital clinic. Regarding long-term care, it takes a diverse variety of health workers to provide services to community members. In the case of an emergency this would include on-going care, both to victims as well as family members and other community members affected. None of these services are free in the United States, someone has to pay for them. What Are Health Workers Concerned With? In an emergency, the risk to human health is immediately evident for the victims and their families who are directly affected. When it comes to long-term health, the kind of exposure to toxins that come from extracting, transporting, storing and shipping fossil fuels affects large numbers of people, animals and thousands of miles of environment. This exposure occurs over a longer period of time. The health risk is widespread and devastating. For indigenous people, finding safer food sources is not only cost prohibitive, to leave ancestral lands is against the belief of entire communities. People of color are also at greater risk of being trapped in an area of high exposure to toxins because it can be difficult or cost-prohibitive to move, or to purchase bottled water once a local freshwater source has been contaminated. One of the primary concerns is the contamination of drinking water. Groundwater is at risk as coal dust flies off of trains passing. According to the Washington and Oregon chapters of the Physicians for Social Responsibility, wells are also at risk of groundwater contamination. The BNSF rail lines run upstream and near Olympia’s clean water source, which puts our local drinking water at risk (Washington and Oregon Physicians for Social Responsibility, 2015). Image Credit: Nathan D. Holmes (maverick@drgw.net). Licensed under a Creative Commons License. A single train “can lose as much as 500 pounds of coal dust per car for every 500 miles traveled.” The Oregon Physicians for Social Responsibility commented after referencing and studying reports on the BNSF website, “Coal dust carries heavy metals such as lead, arsenic and mercury.” (Profita, 2015) The total human cost is not accounted for in the transport of fossil fuels. According to the Physicians for Social Responsibility “Between 316,588 and 631,233 children are born in the U.S. each year with blood mercury levels high enough to cause lifelong loss of intelligence” from page 32 their report entitled Coal’s Assault on Human Health. Coal dust not only pollutes the air, the particulate matter will settle on the ground contaminating soil and water, plants and animals. For communities living close to the rail lines there is the threat of constant exposure to these poisons in their air, and collecting in the soil around their homes. The draft environmental impact statement for the proposed Westway Imperial terminal states, “Increased rail traffic would almost double emissions of criteria pollutants associated with rail transport in county.” This applies to both coal and oil (Washington and Oregon Physicians for Social Responsibility, 2015). Children have different rhythmic patterns of breathing than adults. They are predominantly mouth-breathers, thereby bypassing the filtering effects of the nasal passages. This allows pollutants to travel deeper into the lungs. They have a larger lung surface area per unit weight than adults. They spend more time out of doors, particularly in the afternoons and during the summer months when ozone and other pollutant levels are the highest. Children also have higher ventilation rates. i.e., volume of air per minute per unit body weight compared to adults. When active, children may ignore early symptoms of an asthma exacerbation and fail to seek treatment, leading to attacks of increased severity. There are other factors that are important. The diameter of the airways in children is smaller than in adults and therefore airways may be more susceptible to the effects of the airway narrowing that is characteristic of asthmatic attacks. These factors, combined with the possible adverse impact of pollutants on lung development and the immaturity of enzyme and immune systems that detoxify pollutants, may all contribute to an increase in the sensitivity of children to pollutants produced by burning coal” (Lockwood, A. H., et al, 2009). Asthma is a reversible condition. When permanent damage to the airway occurs, a chronic obstructive airway condition is present. “Unlike asthma any damage caused by COPD is irreversible" (Lockwood, A. H., et al, 2009). The narrowing of the airways leads to COPD and when airways become larger Chronic Bronchitis is present. Both conditions can coexist together. Exacerbations of COPD may be triggered by pollutants or infections. Although current and ex-smokers account for 80–85% of all patients with COPD, exposure to air pollutants, including those that are produced by burning coal, plays an important role in the pathogenesis of acute exacerbations and the development of COPD (Lockwood, A. H., et al, 2009). “Additional evidence to support the hypothesis that air pollutants produce oxidative stress is derived from many studies. Recently, Fitzpatrick, et al., studied 65 children with severe asthma, including 35 with a reduction in baseline airway function as shown by a forced expiratory volume of less than 80% of that predicted, i.e., their ability to move air rapidly out of the lung was impaired. Bronchoalveolar lavage (rinsing the airway with saline) was performed and metabolites and enzymes related to oxidative stress were measured. In the asthmatics, the concentration of glutathione, an antioxidant that protects cells from free radicals, was reduced and the concentration of the oxidized form (glutathione disulfide) was increased. This made the children less able to withstand oxidative stress and more susceptible to the development of an asthmatic attack" (Lockwood, A. H., et al, 2009). Ozone, a highly reactive gas that consists of three atoms of oxygen (O3), is formed by the reaction of volatile organic compounds (VOCs) with oxides of nitrogen (NOx) in the presence of sunlight. Coal combustion does not produce ozone directly, but both the NOx and the VOCs released by coal plants are essential contributors to the formation of ground level ozone, the primary ingredient in urban smog. Ozone is a powerful oxidizing agent that irritates the lungs at concentrations typically encountered in urban settings, particularly in summer months. There are many studies linking increases in ozone to asthma and other pulmonary diseases. (See Oil Train Explosions). (Lockwood, A. H., et al, 2009). These three large prospective epidemiological studies provide evidence that air pollution particularly that due to particulates and ozone, may affect mortality due to lung cancer. Since some of the pollutants studied are formed directly or indirectly as the consequence of burning coal, it is possible that burning coal places those exposed to coal-related pollutants at greater risk for developing lung cancer (Lockwood, A. H., et al, 2009). Farmland that the rail lines run through can also be exposed to the heavy metals in coal, potentially affecting food crops. Coal dust can affect agricultural lands en-route to the export terminals, such as those in the Chehalis River Valley. The mercury that coal dust carries is a high risk for “children, infants and fetuses. Impacts include nervous system damage and developmental defects like reduced IQ" (Lockwood, A. H., et al, 2009). Oil bears other harmful risks to human health. A spill “off the coast could contaminate primary sources of seafood for residents. Toxins, including polycyclic aromatic hydrocarbons (PAHs), accumulate in seafood after an oil spill, presenting increased risk to humans who eat the seafood” (Washington and Oregon Physicians for Social Responsibility, 2015). Pregnant women are especially vulnerable, high prenatal exposure to PAH can cause childhood asthma and lowered IQ. Many indigenous communities rely on the fish as a food source, such as the Quinault Tribe at Grays Harbor, and the Nisqually Tribe who live on a small section of the Nisqually River and fish those waters. Fish and shellfish exposed to coal and oil accumulate these toxins and heavy metals over time, which in turn poison entire communities of people. Many residents of Lac-Mégantic, Quebec, say that if the trains resume through their town they will leave. Having to endure the ongoing threat of another disaster would be too much for them to bear, everyone in the community was deeply affected by the incident. Compare this to the immense pressure felt by Alaska Natives and their families, who could not leave their ancestral home after the 1989 Exxon Valdez spill. Many chose to participate in the cleanup efforts and suffered long-term health complications from it. Workers try to remove globs of oil from Naked Island in Prince William Sound, Alaska, in April 1989. The University of California conducted a study on the psychological impacts of oil spills, specifically the Exxon Valdez disaster. Research methods included ethnographic fieldwork in 22 communities, including surveys of 600 households in 13 communities one year after the spill. Their study found that there was an increased prevalence of Post-Traumatic Stress Disorder (PTSD) by exposure for those who participated in the cleanup efforts, who lost property or suffered damaged property, suffered damaged commercial fishing areas and those who felt the effects in their hunting, fishing and gathering practices. Alaska Natives were the most directly impacted. Those who were were highly exposed showed an increase in drinking and drug use as well as fighting. Their families and friends also showed an increase with these same issues. Traditional social relations were measured during the period of 1988-1990. Those who were highly exposed suffered a harder time with spousal relations, with children who lived at home as well as other relatives at home. The relationship issues extended to relatives who didn’t live at home, as well as neighbors and friends and even people from other communities. Participants in the spill cleanup experienced stress from being separated from their families and communities for prolonged periods. There were also conflicts between the people who did and did not participate in cleanup efforts. Everyone was witness to the destruction of their environment including the land and their food sources. (La, P., et al 2012) There was an increased prevalence of PTSD for those who participated in clean-up efforts and those who did not, and for the communities who lost fishing, hunting, and gathering practices, and for those who suffered lost or damaged property. The lasting presence of toxic oil over land, settling and dispersing through bodies of water changes the landscape and poisons the natural sources of food, including plants and animals. For the Natives of the Chugach Region living in Prince William Sound, Alaska, their way of life was dramatically altered, destined to remain marred for generations to come. From a study of Inuit accounts, “…the environment is not an impersonal, inanimate landscape but is alive and closely linked to personal memories" (Kirmayer & Valaskakis, 2008). In Seattle, 170,000 people live within a half-mile radius of train tracks, the recommended isolation and evacuation distance from a derailed train if a fire were to occur (Emergency Response Guidebook, 2008) An oil train derailed in Magnolia in July of 2014; it was traveling at less than 5 miles per hour. According to Fawn Sharp, President of the Quinault Nation, “It was sheer luck that the cars, carrying 100 loads of Bakken crude oil, didn't spill or even catch fire. If that had occurred, the chances are there would have been tragic loss. If fire had occurred, the odds are it would have burned out of control for days and oil would have made its way into Puget Sound. People need to know that every time an oil train travels by this is the risk that is being taken.” The article goes on to report, “The tankers involved in the Seattle accident held about 27,000 gallons of oil and had a newer design with enhanced safeguards. The BNSF representative said, "The cars performed as designed. There was no release of product. We have an outstanding safety record, and derailments have declined in Washington state over 50 percent on BNSF main lines in the past decade…” (Group, 2014). Increasing the number of oil trains is equivalent to increasing the risk to human life. Washington Senator Maria Cantwell (D) is questioning the safety of daily trains which are expected to increase from 18 per week to approximately 112, at a rate of 16 per day in the next 20 years (Zak, 2015). If a single car were to catch fire, it would stand a good chance of combusting several other cars. The effects on human, animal, and environmental health would be devastating in both the immediate sense and for the long term. In 2015 the Vancouver Fire Department took a stand, publicly stating that they are not equipped to deal with such a risk. “We have studied the facts, assessed the risk versus the benefit to our community of this proposed terminal; and it’s why we are 100 percent against it. Vancouver firefighters are not risk averse. We mitigate dangerous, uncontrolled situations every day of the year. However, we know from our collective experience that we are woefully unprepared for what this oil terminal could very well bring. We know that the proposed oil and coal cargo is poisonous for people, for the animals and for the environment" (Johnston, 2015). Though their statement was in direct reference to the proposed terminal in Vancouver, Washington, the risk persists all along the tracks in which dangerous cargo such as coal, oil and other toxic chemicals are traveling. The necessary equipment and personnel to address the risk to human health changes some between the various cargo types, but the statement the Vancouver Fire Department made could apply to other emergency scenarios. 350 Seattle. (2015). Shell Eastgate: The detailed version. 350 Seattle. Associated Press. (2014, October 18). Washington power plants lead in greenhouse gas pollution. The Oregonian. Cauvel, K. (2015). Full review needed for Shell rail project. Go Skagit. Emergency Response Guidebook (2008). U.S. Department of Transportation | Pipeline and Hazardous Materials Safety Administration, Transport Canada, Secretariat of Transport and Communications. Group, S. B. (2014, July 23). Oil train derails under Seattle’s Magnolia Bridge, KOMO News. Imperium and Westway. (2015, September). Imperium and Westway DEIS: Analysis of Impacts on Health. Kirmayer, L. J., & Valaskakis, G. G. (Eds.). (2008). Healing traditions: The mental health of aboriginal peoples in Canada. Canada: University of British Columbia Press. LA, P., & al, et. (2012). 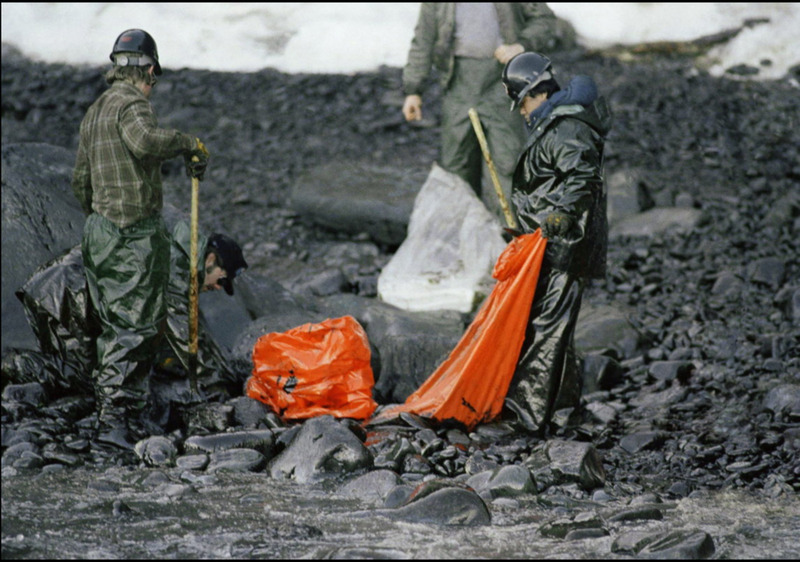 Community patterns of psychiatric disorders after the Exxon Valdez oil spill. Lockwood, A. H., Faan, M., Welker-Hood, K., Rn, M., Rauch, M., & Gottlieb, B. (2009, November). Coal’s assault on human health a report from Physicians for Social Responsibility. Northwest Portland Area Indian Health Board (NPAIHB), n.d. - Health promotion, disease prevention, health research, and legislative advocacy for the tribes of Idaho, Oregon and Washington. Zak, A. (2015, November 12). Now that Keystone is dead, Pacific Northwest oil trains will be the industry’s alternative. Puget Sound Business Journal.